“I can’t BELIEVE IT, the LAST person I want to see is the FIRST person I’m looking at!” Obby looked towards the shore to see Gugu standing there.“Maybe she hasn’t seen me,” he said to Elphick. 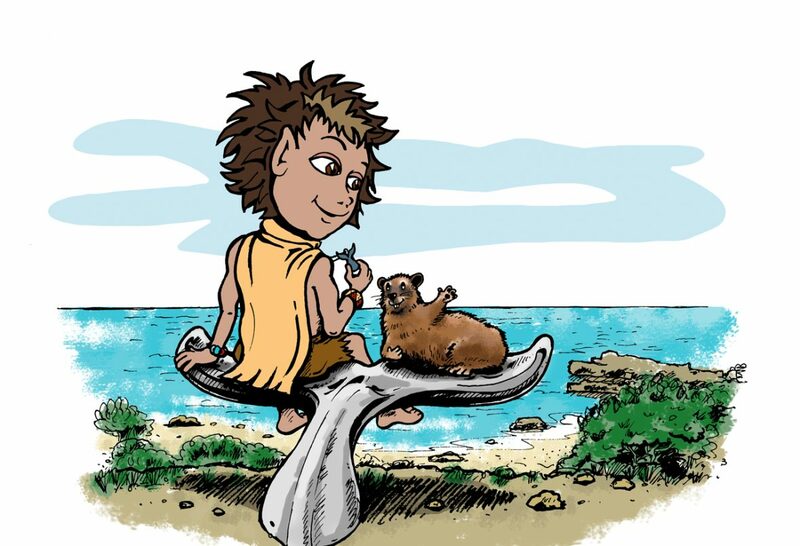 “Hi Gugu,” he shouted back, pretending he hadn’t seen her as he waved from the whale’s tail. Gugu of course, loved school. In fact, she was the only person Obby knew who didn’t like the school holidays, and when it was the school holidays she made Obby and his friends play school, and of course she was the teacher. “You mean he went out of his WAY for you, are you sure you weren’t in any trouble Obby, because everyone knows that trouble finds you.” Gugu said to Obby. “No, trouble didn’t find me.” He gave Gugu a cheeky smile. “So how far is England from Hermanus?” she asked him. “It’s FAR FAR away,” he answered. “Is England North or South of the equator?” She asked. “It’s West of the Horizon,” he replied, with a big smile. Gugu looked up to the sky and shook her head. “Why did you pretend you didn’t?” Elphick asked him. “Because I like it when she takes me to the library and we read books together. I learn a lot. That’s why I’m so clever.” He liked to blow his own trumpet. “You’re a great pretender,”said Elphick. “Thank you.” Obby liked compliments. “I better go,” said Obby, otherwise she won’t take me to the library,” and with that he dived into the water and swam happily towards the last person he wanted to see first, so he said- The Great Pretender.